Technologies such as augmented reality and AI in retail are becoming more important for brands looking to gain a selling edge. Tune in to the latest Pipeline podcast to learn more. The question of whether or not retail is dying can be answered in a variety of ways depending on which metric you look at. Some traditional retailers are failing to adapt to a changing customer base, while others are thriving and modernizing with technology. At the MITX eCommerce Summit in Boston, the question of whether or not retail is dying came with a caveat. "Brick-and-mortar retail isn't dead," said Steven Dennis, retail consultant and president of SageBerry Consulting. "But boring retail is dead." Technology has changed most of the facets of everyday life, but few industries felt such a seismic shift as retail. The power dynamic between customers and stores has reversed with the rise of e-commerce and the ability to do endless research before approaching the buying process. In addition, new technologies are still working their way into the retail space, which could continue to complicate the answer as to whether or not retail is dying. AI and machine learning are already enhancing the shopping experience for users, while also helping retailers to gain a competitive edge by using customer data to better target prospective buyers at the right time. Retailers that refuse to inject AI in retail or that are ignorant about the power of customer data are the ones being fossilized. Brick-and-mortar retail isn't dead, but boring retail is dead. "Traditional retail brands are at a precipice," Dennis said, to the roughly 270 attendees. "Some have already fallen." In addition to AI in retail, augmented reality is slowly entering the marketplace as another way for companies to interact with customers. "Whether it's e-commerce or brick and mortar, [augmented reality] solves a problem," Said Rob Garf, vice president of Salesforce's Commerce Cloud. 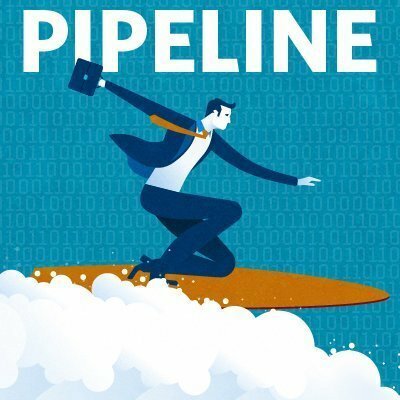 For more on the MITX eCommerce Summit and whether or not retail is dying, listen to the latest episode of the Pipeline podcast. What emerging technology is most important for your retailer? "Boring retail is dead," yet I'm still convinced that the most important technology is handling 'boring' but necessary tasks, like making sure shelves are organized and warehouses are functioning smoothly so when you choose a product, it's there. Choosing a product, especially in sectors like beauty or fashion, is still something I'd rather have human help with than a bot...but perhaps as technology advances this will change! I think there's definitely still a place for human interaction in retail, and "boring" retail doesn't equate to human retail. While it may be boring in a technological way, it's still a vital component to the retail process -- and one that shouldn't disappear anytime soon.